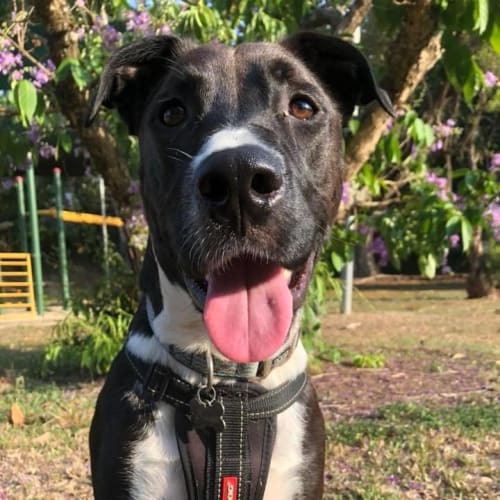 *Located in Cairns*Dog Friendly: YesCat Friendly: NoChild Friendly: Yes but I'm bouncyHouse Trained: YesEnergy Level: Medium/High6ft fencing requiredKaya is a smart girl who makes for great company. 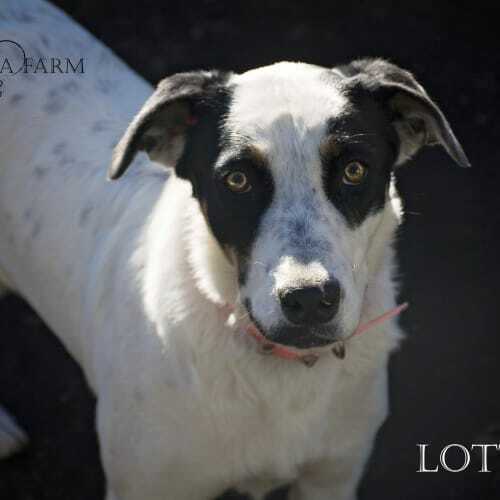 She is very playful and social with other dogs, and gets rather excited when she sees them. Kaya is great with kids but can be bouncy when excited so she would probably be better suited to older, more dog confident kids. She likes to join in on the rough wrestle type play when frequenting the dog park so dogs her size or bigger would make more ideal play pals. 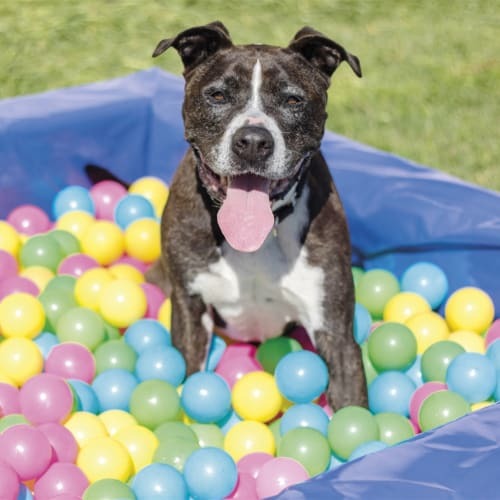 Kaya is a rather active pooch, she will require someone who will exercise her both physically and mentally, not just with play. Being a clever girl Kaya gets bored easily. Kaya will excel the most if given calm structured exercise rather than excitement fueled shenanigans or constant play. Daily walks/runs are a must for Kaya, as well as high fencing. Kaya likes to chase as it allows her to blast some energy away, she also really enjoys swimming. Kaya has good guard dog qualities by barking alerts but not excessively, only when justified. Miss Molly is a little cutie pie at only 12 months. She is a staffy x bull terrier. Despite her happy appearance, Molly is anything but a happy camper. She is very stressed by kennel life and is seeking a very quiet, calm and small household in which to completely decompress and start life over.Molly has been on foster care, which wasn't quite the right fit. Molly is fearful and unhappy with males in her space - ideally Molly will be suited to a quiet female household or one with a very gentle, quiet male willing to give her a wide berth for as long as it takes to feel safe.While it was reported that Molly came from a home with a child, her current headspace means children will be too much for her and being introduced to children or having visitors to the home will need to come down the track.Likewise, Molly has gone from being playful to highly reactive to other dogs. 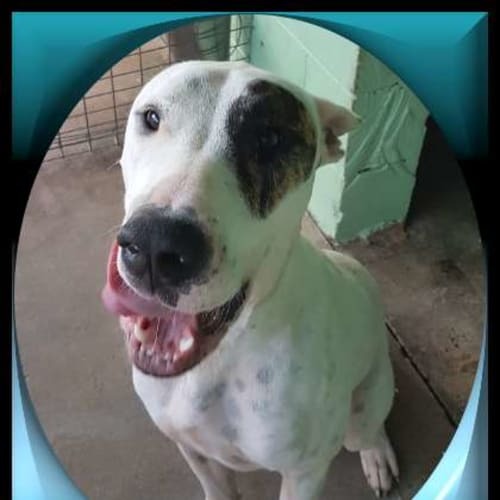 Again she is going to need to be given time to settle down and unwind from her time in kennels before new owners attempt to socialise her with other dogs. A test with cats also proved she is unlikely to make friends with a resident feline!Miss Molly is such a beautiful young girl whose life has just gone off course. 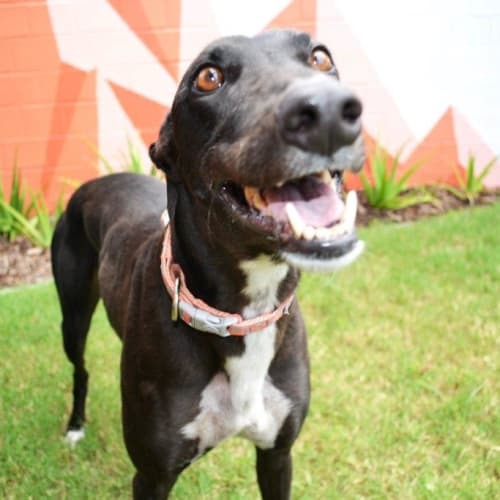 With a quiet home and someone who can allow her to relax and not force her to encounter new people, dogs and situations in any hurry, Molly is bound to return to a loving, affectionate and playful girl.Please consider your time and lifestyle before applying to meet Molly. We're looking for the pawfect home with someone/s with time to invest. Please share and chat to friends - particularly your dog-loving grrrrl friends. 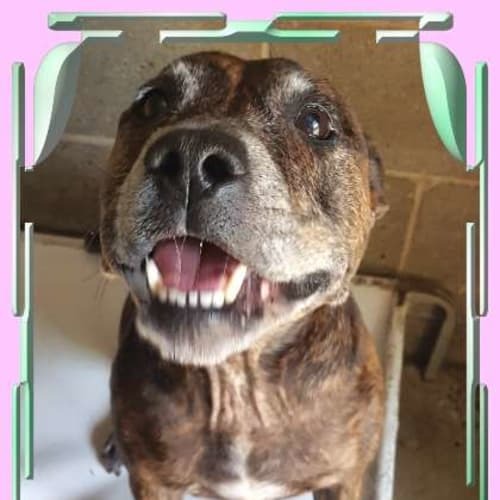 Lovely older Am Staffy Lachie has been with us since May. He's 11 years and got tired of coping in kennel so foster Mum Demi has been taking great care of him and loves him to bits. 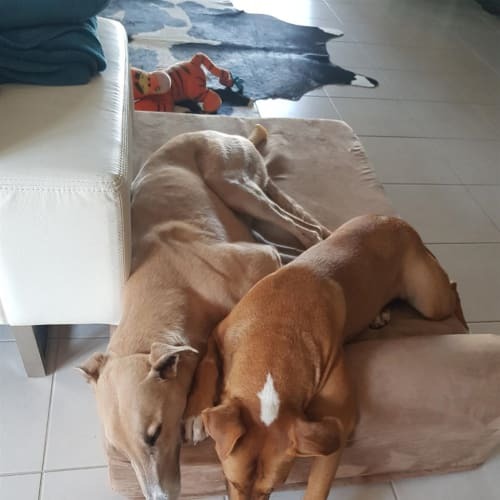 Unfortunately for Lachie, Demi is returning to full-time FIFO work in January, so she and we, desperately want to spare this old man from returning the Home - can you help?Despite his advancing years, Lachie is still strong on lead and loves a short 20-30 min walk everyday - for this reason he will be best in a home with an active older couple or single or empty-nesters. Lachie loves people but his only drawback is he is not friendly with other dogs - this means keeping a distance in public places, not taking him into dog parks or dog beaches and chosing a quieter time of the day to go for a stroll.Lachie will cope with being left during the day but does love company so people who work part-time or are semi-retired would suit him best.He is fine around kids but of course being a larger dog and a bit of a doofus, he needs to be monitored.He's a loyal and loving dog who won't ask for much. Just needs you to manage his sensitivity to other dogs and give him lots of TLC in his golden years.To meet Lachie please call the office and discuss, once an adoption questionnaire has been completed we can arrange a meeting with the foster carer. 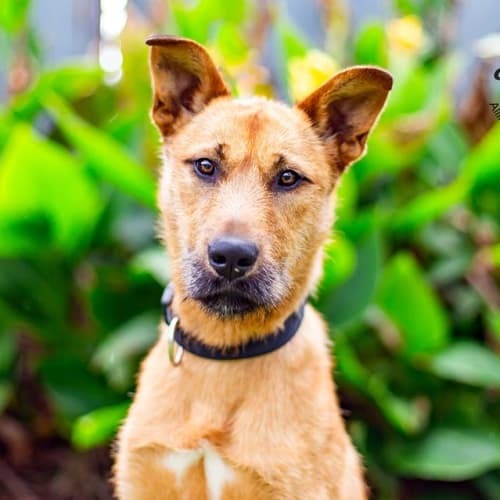 Crumpett, the beautiful loving Irish wolfhound x German Shepherd, is sadly again looking for his forever home. 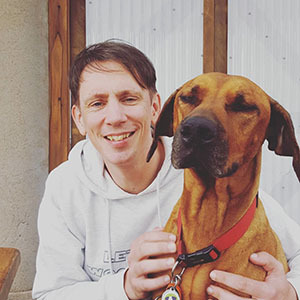 His owner works long hours and this is not suitable for this young lively dog, Crumpett would suit a home that doesn't have cats, small dogs or small children. He is brilliant when meeting other large dogs or people but needs training to remain calm around small children and small creatures.Crumpett is a super sweet boy, would suit an owner who can dedicate time to raising this energetic young boy. He would preferably go to a home with a good size yard. He will need daily walks. He just loves to run, so would love to be an ideal running buddy. 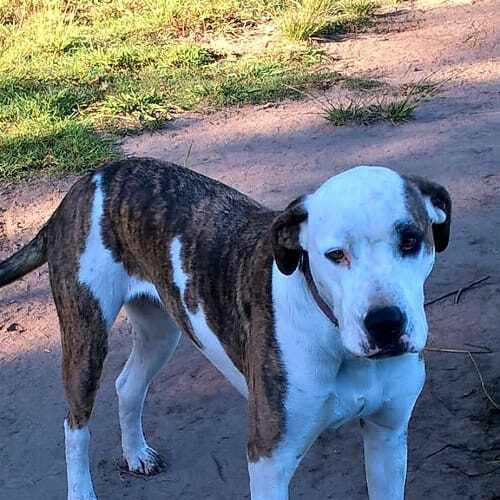 He's a clever boy who can sit on command and is learning to follow basic commands.Secure high fencing is a must, currently Colorbond fence 2 metres high keeps him safe and secure. We would love to find him a home where there is someone home for some of the day, and another medium to large fur buddy would be perfect. This guy is just a classic handsome great guy.He seems not to have a worry in the world and out in a crowd of people and other dogs he is just so well behaved.Bronx will need another dog to play with as to him this is what life is all about...play play play and will also need 1800 high fences to keep him safe and secure. 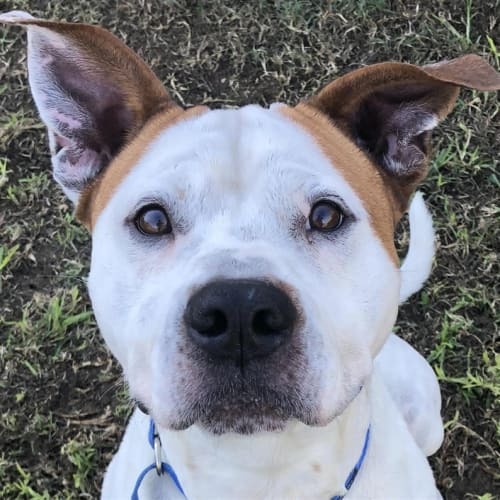 Vinnie may be deaf but that does not stop him from being out there enjoying life an spending his days at YAPS having a ball playing with his doggy mates.He is just a big sweetheart and given half the chance will gladly become a lap dog! 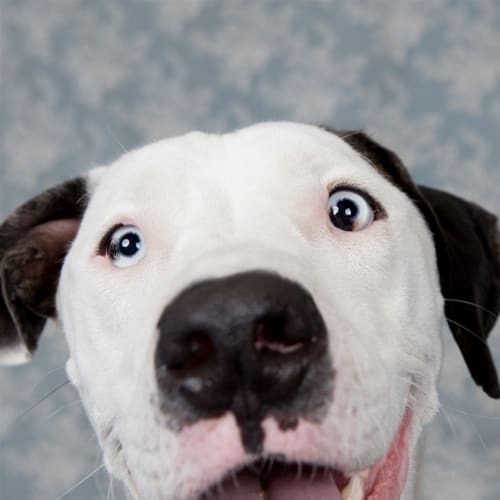 !There is plenty of information and support available on owning a deaf dog. 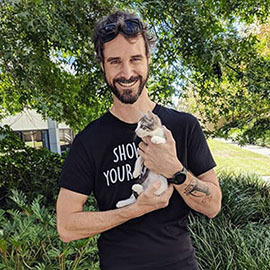 Saint is a beautiful boy who is a real cuddle bunny with his humans. He welcomes everyone into the home and really enjoys meeting new people. He loves going to familiar places but gets a little anxious in busy places so prefers the quiet life. 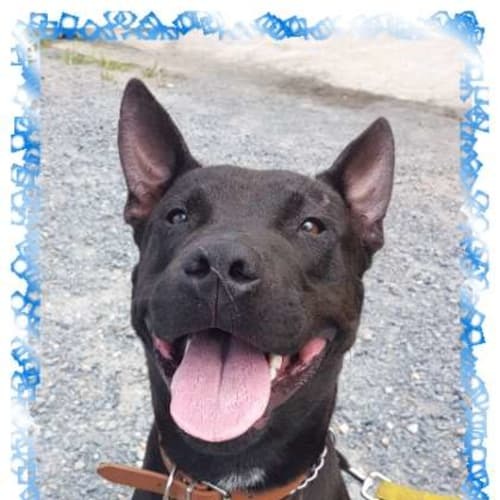 He can be a little reactive to dogs so he needs to be the only dog in his home.He will be a great, loyal companion for the right person/s once settled into his new home. He has glowing reports from his foster parents!